You are here: Home > T-Mobile To Roll Out Pay Per Day Monthly4G Plans? 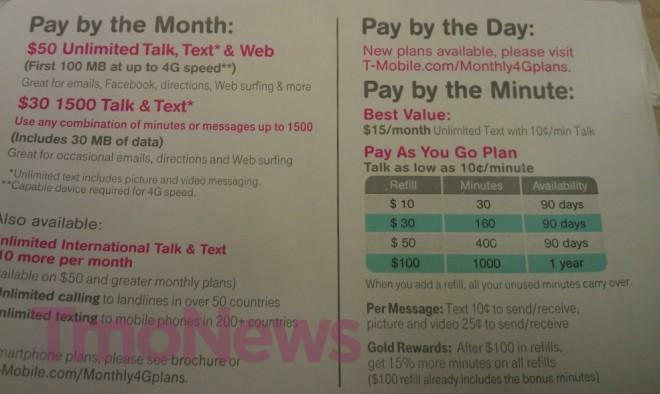 T-Mobile To Roll Out Pay Per Day Monthly4G Plans? T-Mobile is looking to continue beefing up their Monthly4G prepaid selection with the rumored addition of pay-per-day plans rolling out sometime in the future. We just received the above image which indicates new plans will be available on T-Mobile’s website, though a visit to the page itself didn’t yield any intel about “Pay by the Day” plans. We now turn your attention to the below image showing what we believe may be the possible addition of the “Pay by the Day” Monthly4G plans to T-Mobile’s prepaid lineup. As you can see there is a $1 per day, $2 per day and a $3 per day option with details yet to be finalized for the first two amounts. It’s possible this intel is preparing for an upcoming rollout geared to attract customers during the end of year, typically the busiest sales season of the year. So is T-Mobile adding “Pay by the Day” Monthly4G plans to their prepaid line up? Time will certainly tell but if these leaked screen shots are any indication we should have an answer very soon. Just wanna clarify. 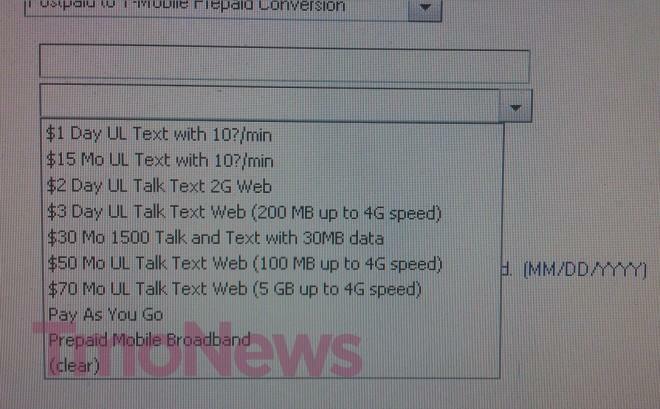 So is that $2 for web at 4G speeds, or 2G speeds? Its 2G speed. The rest that refer to gigabytes are labeled GB. Good questioin. Wheres the $60/mo monthly 4g option you told us about recently dave? You guys should be working on getting unlimited speed and unlimited data atleast on WEEKENDS! who cares when you can get Simple Mobile for $40 unlimited everything for $40 with 3G speeds. 3G isn’t really what you think it is. More like 2G. Are you saying the $70/5GB is going away in favor of the $60/2GB plan? If I could recall, the $70 plan includes 5 gigs of data. I would know this because this is the plan I’ve been on for 3 months now. I never heard anything about that changing. Plus, why would they do away with this plan when so many people use it? I get 3G speeds and for email, IM, Facebook and basic browsing it works great. Not everyone has a fancy smartphone and needs to pay $60 or $70. Interesting, I’ll probably pick this up for a senior relative of mine.